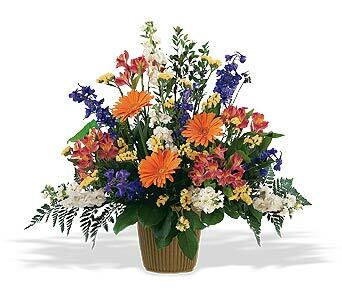 Send this bright arrangement with its vivid, cheerful colors and your sentimental message will be heard. One bouquet contains the vibrant tones of cream stock, yellow statice, orange gerberas and alstroemeria, and blue delphinium in a green container. Page loaded in 0.5944 seconds.